Located in Las Vegas Centaur Art galleries has repeatedly been voted The Best Place to Buy Art in Las Vegas by almost all important Las Vegas media. At Centaur Art Gallery, you will find a large selection of fine art works and some of the largest fine art exhibitions by the most important artists in history from the 16th century through today, from Rembrandt to Renoir Pablo Picasso to Salvador Dalí, Alexander Calder, Marc Chagall, Joan Miró, and Norman Rockwell, as well as contemporary artists such as LeRoy Neiman and Mark Lewis, and hundreds more. Its president/CEO, Richard C. Perry, has earned a reputation of integrity and distinction. Perry opened Centaur Sculpture Galleries and its sister company, Minotaur Fine Art Galleries, in Las Vegas more than two decades ago. With more than 30 years experience in the art business, Perry established the galleries as two of the foremost galleries in the country. 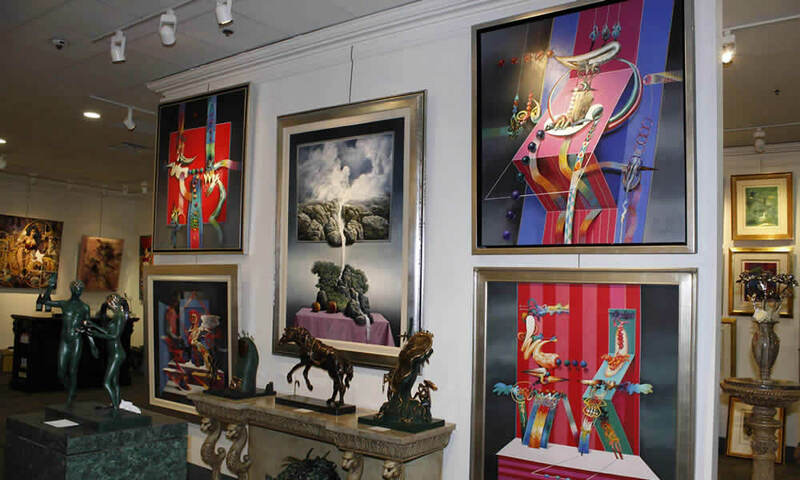 Today, Centaur Sculpture Galleries and Minotaur Fine Art Galleries have merged to become Centaur Art Galleries, one of the largest, most reputable fine art galleries in America.